A 65 acre Nature Preserve consisting of prairie, sedge meadow and woodland habitats. 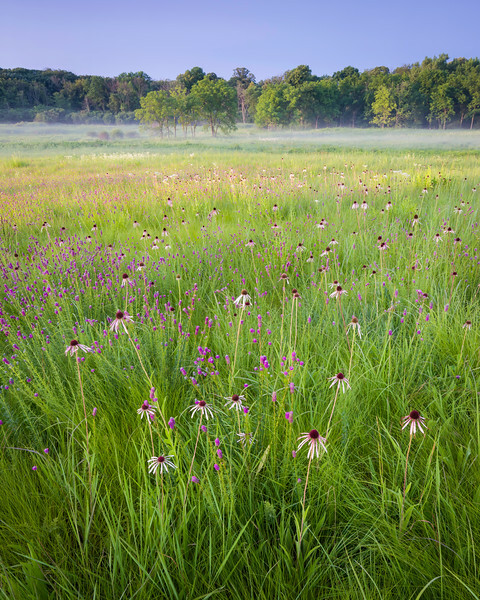 Purple coneflower and prairie clover at sunrise. Churchill Prairie Nature Preserve, DuPage County, Illinois.